Dr. Keith Sivertson opened his arms wide. “This is the difference between life and death,” he said. It doesn’t take much for an oncoming vehicle on state Highway 75 to veer into your lane. If both vehicles are going the 55-miles-per-hour speed limit, that’s an impact of 110 mph. While Hollywood might glamorize near-death car accidents and the like, the reality is much more sobering. “I live in a different world where the stories usually end badly,” Sivertson said. Sivertson, the head of the emergency room at St. Luke’s Wood River hospital south of Ketchum, is part of a collaborative effort to get residents talking about what they’d like the end of their life to look like. Spearheaded by Carolyn Nystrom, executive director of Hospice and Palliative Care of the Wood River Valley, “The Conversation Project” is a starter kit to get people thinking about end-of-life care. These conversations aren’t just for the old and sick—both Sivertson and Nystrom emphasized the importance of all adults having the discussion. Hospitals are federally mandated to ask admitted patients whether they’ve filled out an advance directive, Sivertson said. The questionnaire asks whether patients want feeding supplements and other life-saving treatments should they fall into an unresponsive state. Sivertson used the well-publicized case of Terry Schiavo as an example of the disputes that can happen when people haven’t written down their wishes. Schiavo was on life support for 15 years while her husband and parents fought over whether to remove her artificial feeding tube. Schiavo did not have a written directive prepared before losing consciousness in 1990. Anyone over 18 should make their wishes clear, Nystrom and Sivertson said. “The Conversation Project”, backed by the Institute for Healthcare Improvement, is promoted locally by the Wood River Hospice and St. Luke’s. 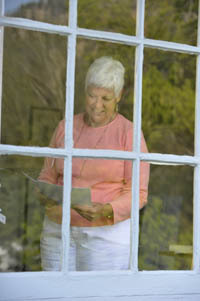 The 10-page packet contains statistics about death and decision making, along with questions such as “What are the three most important things that you want your friends, family and/or doctors to understand about your wishes for end-of-life care?” It also recommends that people look into living wills and advance directives. The latter document is a legal paper that speaks for you when you are otherwise incapable of speaking for yourself. The form asks whether you would want things such as artificial feeding tubes and asks you to list family members or friends who could communicate your wishes. American citizens can fill out the form and submit it to their secretary of state as a means of official documentation. There are other ways of making your wishes known. A lawyer can help you prepare a living will and doctors will often instigate the end-of-life talk when a patient’s health is declining quickly. Those who are fragile or chronically ill should absolutely have their wishes made public, Sivertson said. In the valley, medical care providers work together to ensure that the treatment they give patients is in accordance with their final wishes, from “home to [ambulance] to the hospital,” Sivertson said. For the chronically sick, it’s reassuring to know that even the first responder would be able to administer aid—or simply make you comfortable—depending on what you specified. Nystrom has been holding end-of-life “icebreakers” for several years, from brown-bag lunch discussions to national speakers coming for lectures—she’s seen families “agonizing” over what their loved ones’ final wishes might be and aims to curb that confusion. Dying is a “zero sum game,” according to Sivertson—which is why anyone over the age of 18 should have their end-of-life wishes spelled out.